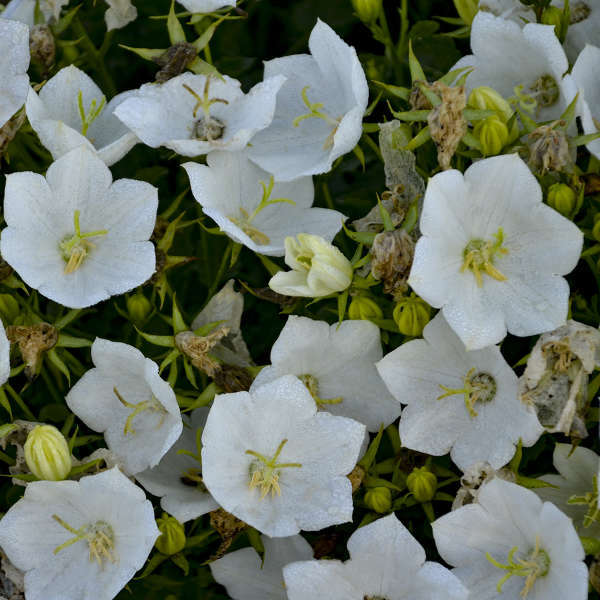 One of the earliest blooming Campanula carpatica types on the market with good vigor and uniformity. 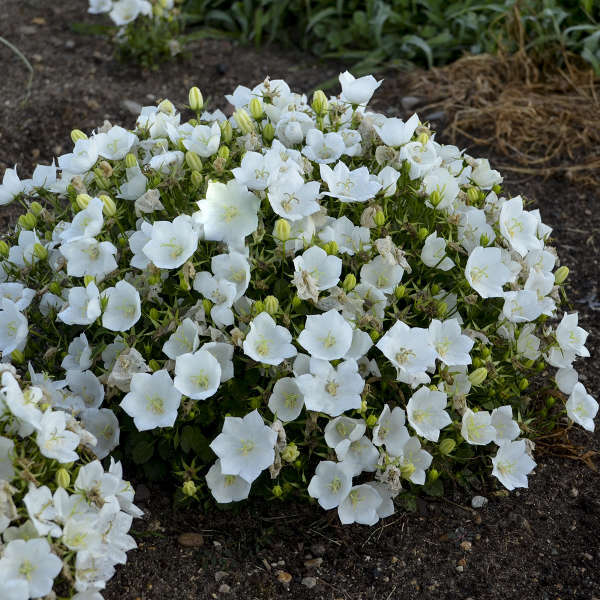 1-1.5in cup shaped, pure white flowers and dark green foliage. 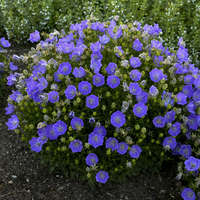 This group of Campanula is a robust, rock garden species, and many will thrive on sunny walls or banks. 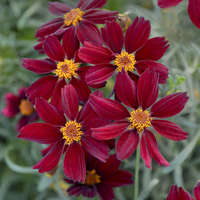 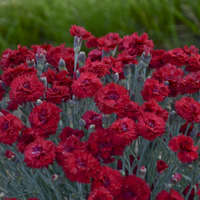 They require moist, very well-drained soil and will grow in either sun or partial shade. 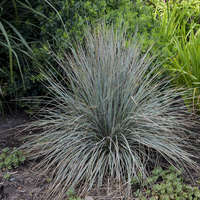 Most members of this group appreciate some afternoon shade in southern regions.